Imagine an enchanted fantasy world of timeless characters and magical moments where nothing goes right for toy makers, Stannie Dum and Ollie Dee. 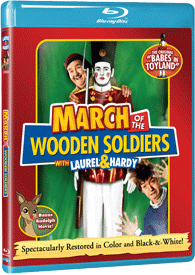 Based on the original Babes in Toyland, this movie is a dazzling spectacle of 6-foot wooden soldiers, Mother Goose characters and the beloved team of Laurel and Hardy. This holiday classic is perfect for the Christmas season. 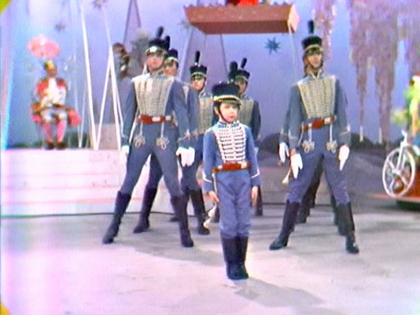 In color and expertly restored, this film will surely become a part of your family holiday tradition.